Eat, drink, and be cheerful at Bob’s Holiday Cheer Open House! 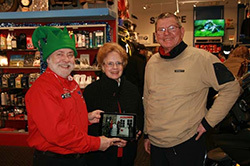 The annual customer appreciation day is Bob’s favorite event of the year. It’s a time to look back and smile on yet another wonderful and fun year of riding and serving customers!